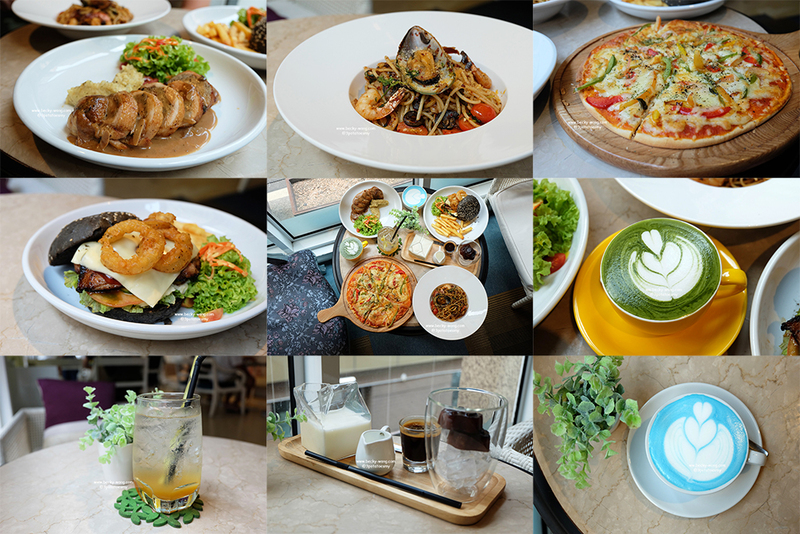 Pronounced as "believe", the brand was founded in 2009 to cater to strong demand for easy-to-use and affordable skincare regime. B.liv is the only skincare brand in the over-the-counter market to have undergone trials and testing in more than 200 professional skincare centers prior to placement in the retail market. 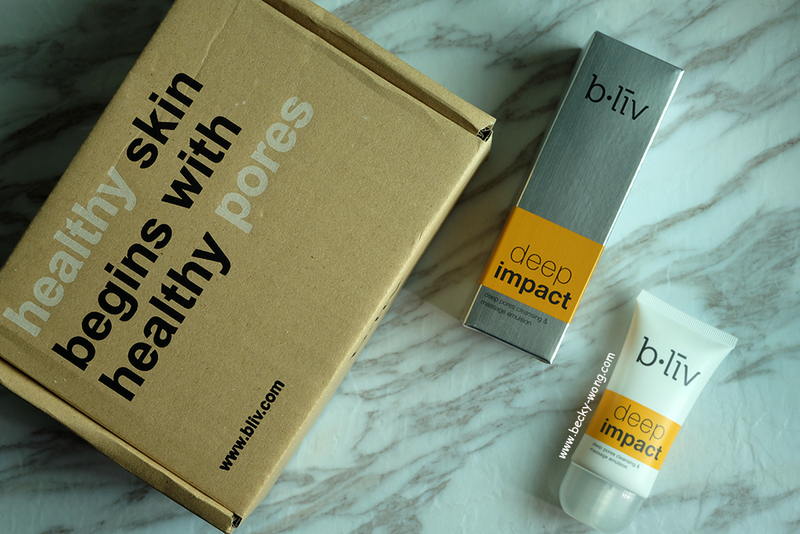 Today, B.liv is the leading brand in pores management solution. Before this, I've tried their masks and I really liked it a lot. Today, I'm going to talk about b.liv Deep Impact. Just like the saying on the box "healthy skin beings with healthy pores". We can put on the most expensive or the best quality skincare in the world, but if our pores are not properly cleanse, nothing will get absorbed into the skin and all the goodness will go to a waste. Hence, it is very important to constantly deep-cleanse our skin. One of the way to do so is to exfoliate. 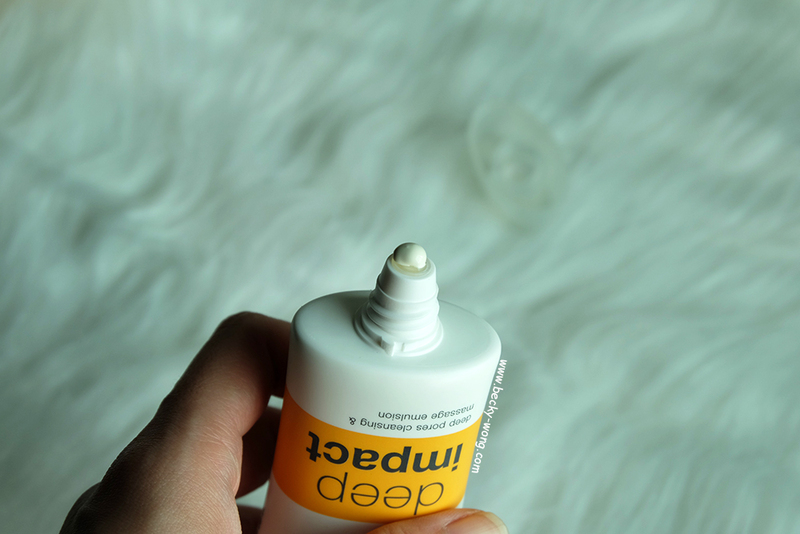 Formulated with 100% pure, natural Jojoba beads, Deep Impact works perfectly in exfoliating as the small spheres have no sharp edges and leave no micro-lacerations to the skin. Once dissolved, the Jojoba beads will turn into oil form which closely resembles human sebum that is highly beneficial to the skin. Also, Deep Impact also carries purifying, soothing as well as anti-oxidant properties which serves the skin even better by deeply cleanses impurities while ensuring the much needed moisture and nourish to the skin. The cleanser is white and creamy, somewhat like a yoghurt texture but with tiny little bead in it. Squeeze a little of the cleanser and start massaging onto the damp skin. It took a bit of time for the Jojoba bead to dissolve entirely, but it didn't feel harsh on my skin. It felt like I'm giving my skin that much needed massage and scrubbing away any impurities at the same time. I have a combination skin and very prone to breakouts. 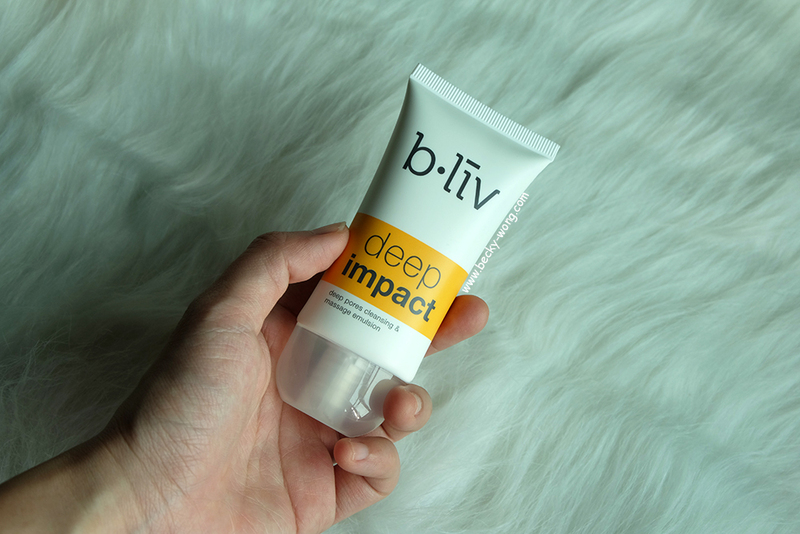 However, b.liv Deep Impact feels very gentle on my skin and I like how clean and hydrated my skin feel after using it. On the other hand, I didn't really see any visible changes to my pores but I do believe it really takes longer time for pores to reduce in size. 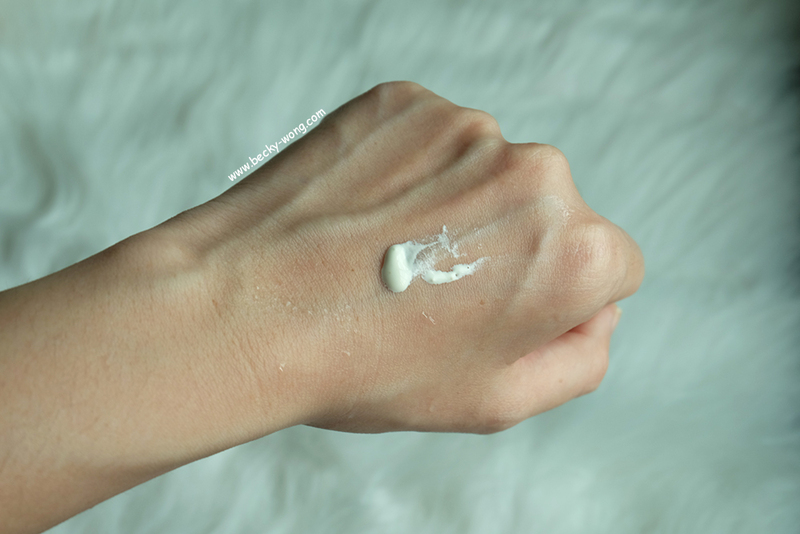 Before trying out on my face, I did a test of the product on my hand. 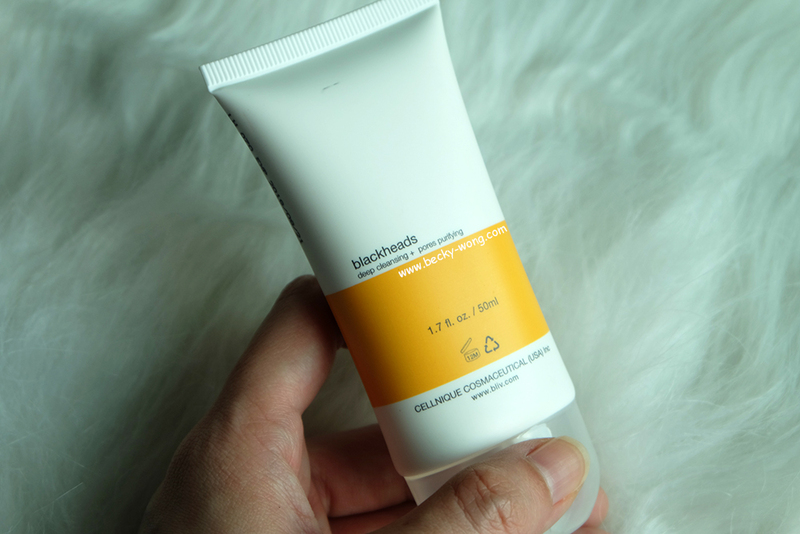 My skin felt smoother, more hydrated and brightened up after one use. Also, I like the mild pleasant fragrance that the product left on my skin. 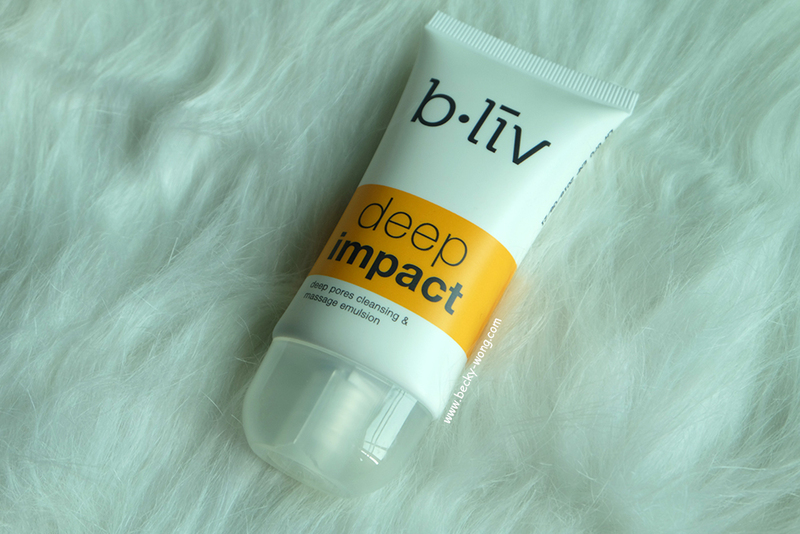 If you are looking for a gentle exfoliator or a deep cleansing product, you might want to consider b.liv Deep Impact. The price is pretty affordable and it makes a good daily cleanser that helps to clean and purify the skin. 1. Apply a small amount to your damp skin. 2. Gently massage in an upward and outward circular motion until the Jojoba beads dissolve. You can find out more of b.liv updates and purchase b.liv Deep Impact at b.liv website, and SaSa Malaysia or selected Watsons outlets in Malaysia.